A YEMENITE FAMILY WALKING THROUGH THE DESERT TO A RECEPTION CAMP SET UP BY THE "JOINT" NEAR ADEN. îùôçä ùì úéîðéí éäåãéí äåìëú áîãáø áãøëä ìîçðä îòáø ìéã òãï, àùø äå÷í áéãéé àøâåï ä- "â'åéðè". 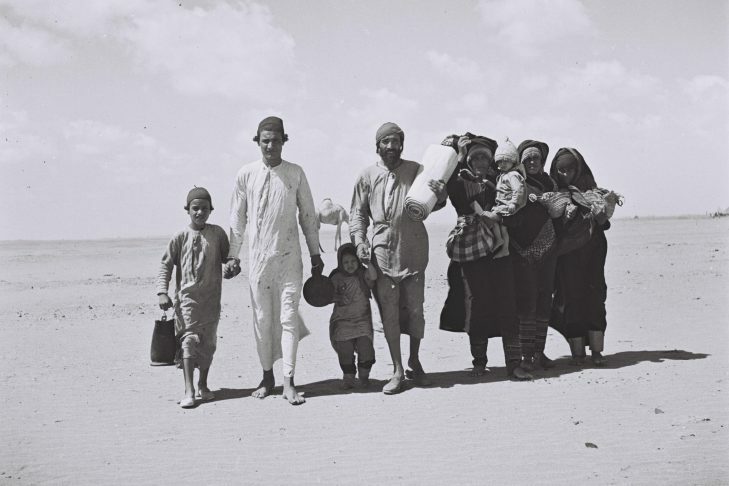 In the 1950s, many Jews in Arab nations faced persecution and were forced to flee their homes. Thousands immigrated to Israel and settled in the newly founded country. This often untold story is essential to the narrative of Israel as a nation of immigrants, and these Mizrachi Jews continue to be a vital part of the Israeli population to the present day. We wish to honor these Jews and their story through testimonials and musical performances. Light refreshments and exhibition at 6:30PM, program begins at 7PM.